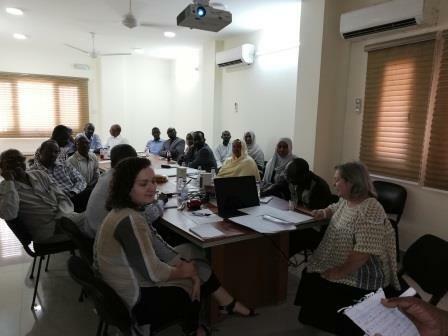 Linda Horgan, Director of SOS Sahel International UK, facilitated a one-day training session for SOS Sahel Sudan staff members and trustees on safeguarding good practice. 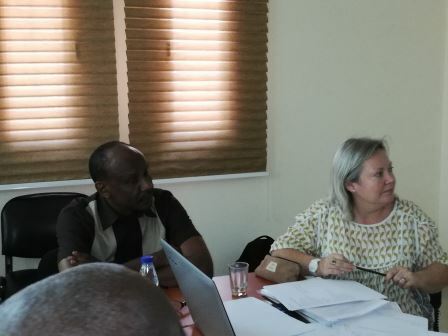 The training emphasised the importance of safeguarding across all areas within SOS Sahel Sudan practices, as well as within the wider NGO and donor community. This topic is of particular importance as it has been a controversial issue in global news in recent months. 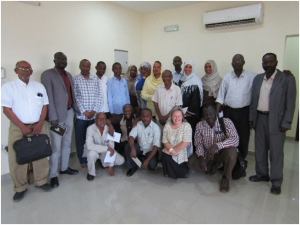 The training was attended by 18 members of SOS Sahel Sudan staff, across programmatic, financial and administrative departments, as well as some trustees. It covered the basic understanding of safeguarding, meaning and definition and what is needed to resolve and mitigate safeguarding issues, including developing a safeguarding objective, reviewing core safeguarding policies and procedures. By the end of the day, the team had developed a safeguarding framework, with an action plan to finalise core policies. What was very evident from the training was the positive and protective organisational culture of SOS Sahel Sudan. Some of the words used to describe the organisational cultures were ‘respect’, ‘ownership’, ‘team spirit’, ‘open & transparent’, ‘harmony among staff’. The openness with the community was also seen as very important, with the offices always open for community members. This organisational culture gives a great foundation for developing and reviewing policies and procedures, to ensure the management, mitigation and proper response of any safeguarding issues that may arise.